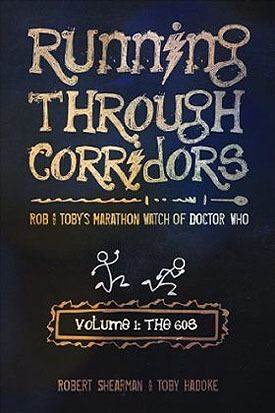 In Running Through Corridors, two Doctor Who lovers of old - Robert Shearman and Toby Hadoke - embark on an epic quest of friendship: spend the 'gap year' of 2009 (when Doctor Who consisted of a handful of specials rather than a full season) re-watching the whole of Who two episodes a day, every day, from the show's start in 1963 and ending with David Tennant's swan song on New Year's, 2010. This three-volume series contains Shearman and Hadoke's diary of that experience - a grand opus of their wry observations about the show, their desire to see the good in every story, and their chronicle of the real-life changes to Who in that year. With this book, Who fans will feel that they're watching along with Shearman (World Fantasy Award winner, Hugo Award nominee and writer on the new Doctor Who) and Hadoke (renowned stage performer for his one-man comedy show, 'Moths Ate My Doctor Who Scarf') as they make their 'grand journey' through the world's most wonderful and longest-running drama series. Robert Shearman is the World Fantasy Award-winning, Hugo-nominated author of the episode "Dalek" for the BATA-winning Doctor Who series. He has received several international awards for his theatre work. Toby Hadoke's one-man comedy show, "Moths Ate My Doctor Who Scarf," toured internationally following a West End run, sell out performances at The Edinburgh Fringe, and a Sony-nominated radio series.